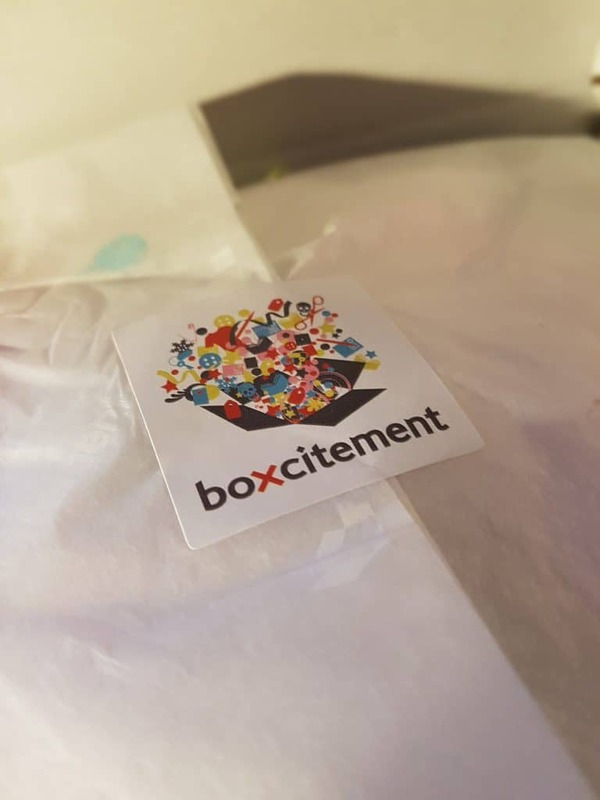 I’ll be honest – I was actually really desperate to get my hands on the next Boxcitement box. 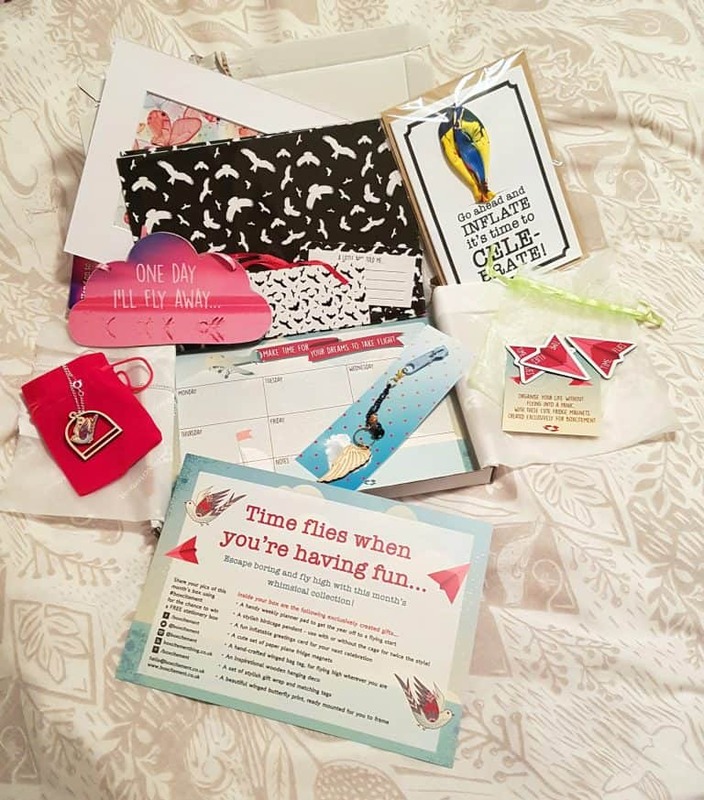 January had been a pretty low month in our house and having seen a few sneak peaks on Instagram I knew that this box was likely to be a good one. It didn’t disappoint – so much so that I actually partly ripped the box open in my excitement/desperation to get inside!! A butterfly print ready to be framed. I can confidently say that I will make use of everything in this box. The planner has been great, I’ve already started using it and I have set aside the card and wrap for a certain gift I already have in mind for a friend. 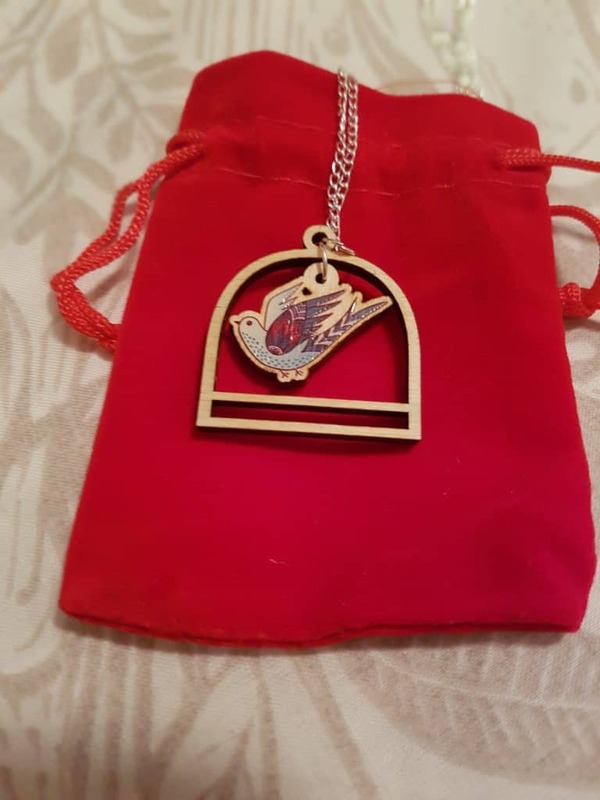 I adore the necklace, it looks really unusual and expensive and you would probably find something similar in an East London market for the same price as the entire box. 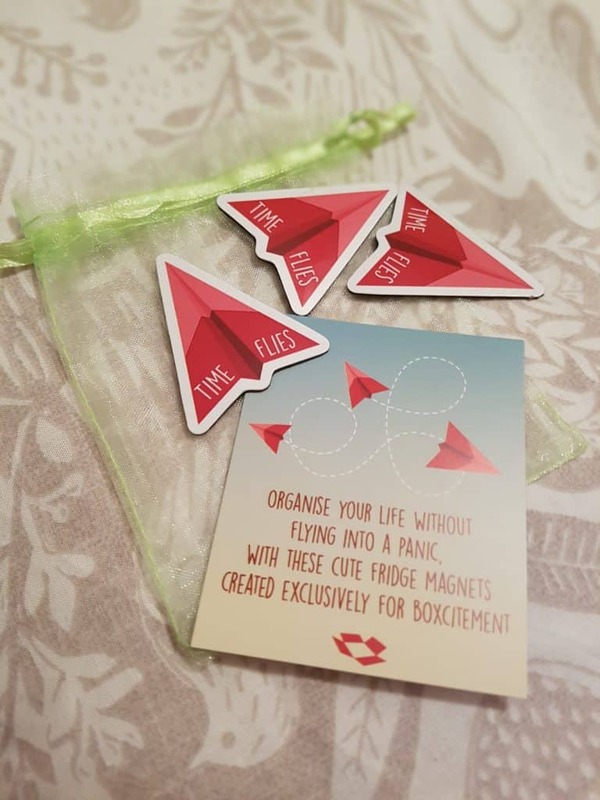 I also know I’ll definitely find a use for the magnets and whilst the bag tag/charm wouldn’t normally be something I would choose I really like it and will either use it as intended or look to see if I can customise it into something else, like a necklace or bracelet perhaps. I really liked the flamingo hanging decoration but it did make me realise that I have lots of these kinds of things in the house and perhaps I should streamline my collection a bit. I am keeping an eye out for a friend who may need it, in which case it will ‘wing’ it’s way to him or her at the right time. That’s one of the things I like about Boxcitement, you might not immediately find a purpose for every single thing – but every single thing has a purpose and it’s very handy to have a little collection of treats to either give away to friends/family when they need a little lift, or stock up on for birthdays/Christmas. I really do like Boxcitement. 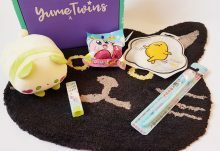 I know for a subscription box it is a little bit pricier than some of the others around but you definitely get good value with the items./ Everything feels like a treat and you know that you're getting something just a little bit unique. 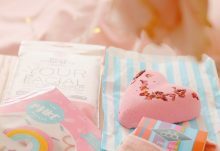 The tagline for the box on their website is 'loveliness through your letterbox' and I really think it's true. I could barely fault this months box, so I've only deducted one point ultimately because I always think everyone has room for improvement somewhere!